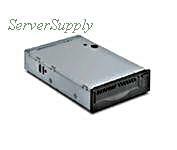 Dell - 07Y244 DELL - 100/200GB LTO-1 LOADER WITH TRAY PV132T (07Y244). IN STOCK. SHIP SAME DAY. 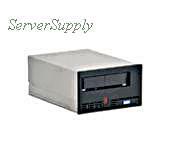 IBM - 3584-1456 IBM - 100/200GB LTO1 ULTRIUM FIBRE TAPE DRIVE (3584-1456). IN STOCK. SHIP SAME DAY. 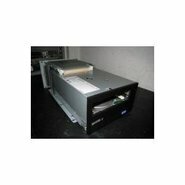 Hewlett Packard - C9521-67903 HP/COMPAQ - LTO-1 100/200GB LOW VOLTAGE DIFFERENTIAL TAPE DRIVE (C9521-67903). IN STOCK. SAME DAY SHIPPING. 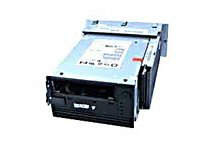 Hewlett Packard - A6322-69001 HP/COMPAQ - 100/200GB LTO1 LVD LIBRARY TAPE DRIVE FOR HP 10/180/L180 (A632269-001). IN STOCK. SAME DAY SHIPPING. 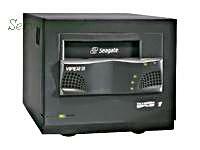 Hewlett Packard - C7400A HP/COMPAQ - SURESTORE 100/200GB ULTRIUM 230 LVD LTO INTERNAL TAPE DRIVE (C7400A). IN STOCK. SAME DAY SHIPPING. 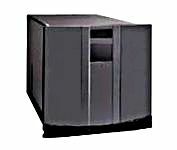 Hewlett Packard - A6322A HP/COMPAQ - LTO ULTRIUM 100/200 GB WITH SLED L180/L700 LOW VOLTAGE DIFFERENTIAL TAPE DRIVE LIBRARY (A6322A). IN STOCK. SAME DAY SHIPPING. 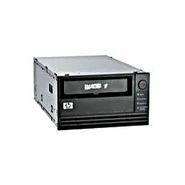 Hewlett Packard - C7369A HP/COMPAQ - STORAGEWORKS ULTRIUM 230 100/200GB LTO LOW VOLTAGE DIFFERENTIAL INTERNAL TAPE DRIVE (C7369A). IN STOCK. SAME DAY SHIPPING. 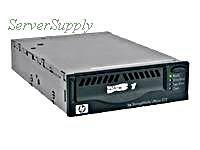 Hewlett Packard - C7369-20600 HP STORAGEWORKS ULTRIUM 230 100/200GB LTO INT TAPE DRIVE(C7369-20600). IN STOCK. SAME DAY SHIPPING. 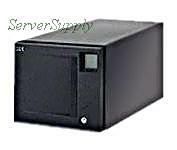 IBM - 24R1359 IBM - 100/200GB LTO-1 ULTRIUM FIBRE CHANNEL INTERNAL FH TAPE DRIVE (24R1359). IN STOCK. SAME DAY SHIPPING. 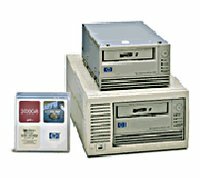 Hewlett Packard - C7401B HP/COMPAQ - 100/200GB LTO ULTRIUM 230 COMPLETE KIT EXTERNAL TAPE DRIVE (C7401B). IN STOCK. SAME DAY SHIPPING. 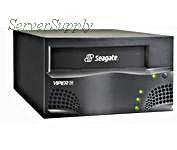 Hewlett Packard - C7400-69201 HP/COMPAQ - SURESTORE 100/200GB ULTRIUM 230 LVD LTO INTERNAL TAPE DRIVE (C7400-69201). IN STOCK. SAME DAY SHIPPING. 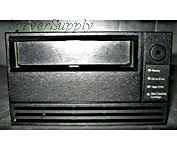 Hewlett Packard - C7369-00831 HP/COMPAQ - ULTRIUM 230 100/200GB LTO INTERNAL TAPE DRIVE W/O TRAY(C7369-00831). IN STOCK. SAME DAY SHIPPING. 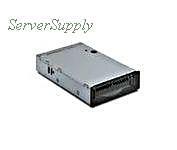 Hewlett Packard - C9522-67906 HP/COMPAQ - LTO-1 100/200GB TAPE DRIVE LVD HOT SWAPPABLE MODULE KIT (C952267906). IN STOCK. SAME DAY SHIPPING. 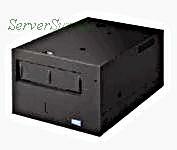 Dell - PV110T DELL - 100/200GB EXTERNAL LTO1 TAPE DRIVE (PV110T). IN STOCK. SHIP SAME DAY. 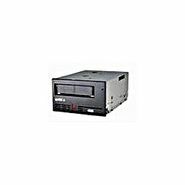 Hewlett Packard - C7421A HP/COMPAQ - ULTRIUM 215 LTO 100/200 GB EXTERNAL LVD TAPE DRIVE (C7421A). IN STOCK. SAME DAY SHIPPING. 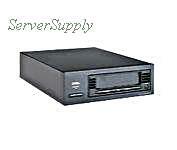 Hewlett Packard - C7400-67201 HP/COMPAQ - SURESTORE 100/200GB ULTRIUM 230 LVD LTO INTERNAL TAPE DRIVE (C7400-67201). IN STOCK. SAME DAY SHIPPING. 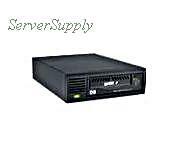 Hewlett Packard - Q1544-69201 HP/COMPAQ - 100/200GB ULTRIUM 215 LTO1 EXT CARBON TAPE DRIVE(Q1544-69201). IN STOCK. SAME DAY SHIPPING. IBM - C7377-03011 IBM - 100/200GB ULTRIUM LTO 1 INTERNAL TAPE DRIVE (C7377-03011). IN STOCK. SHIP SAME DAY. 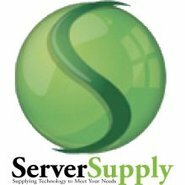 IBM - 59P6658 IBM - 100/200GB LTO-1 HOT SWAP LVD DRIVE UPGRADE OPTION (59P6658). NEW. IN STOCK. SHIP SAME DAY. 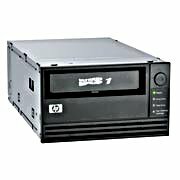 Hewlett Packard - C7377-69040-BJA HP/COMPAQ - 100/200GB STORAGEWORKS ULTRIUM 215 LTO 1 INT TAPE DRIVE (C7377-69040-BJA). IN STOCK. SAME DAY SHIPPING. 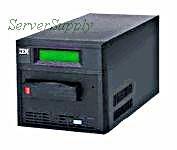 IBM - 59P6698 IBM - 100/200GB LTO-1 HOT SWAP LVD DRIVE UPGRADE OPTION (59P6698). IN STOCK. SHIP SAME DAY. 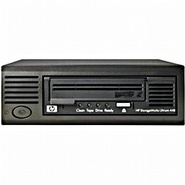 Hewlett Packard - C7401-69301 HP/COMPAQ - 100/200GB STORAGEWORKS LTO ULTRIUM 230 EXTERNAL TAPE DRIVE (C7401-69301). IN STOCK. SAME DAY SHIPPING. 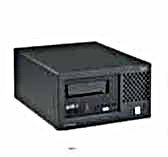 Hewlett Packard - Q1544A HP/COMPAQ - 100/200GB ULTRIUM 215 LTO1 EXT CARBON TAPE DRIVE(Q1544A). IN STOCK. SHIP SAME DAY. 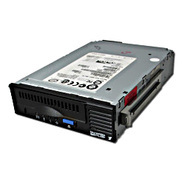 Hewlett Packard - Q1515A HP/COMPAQ - 100/200GB LOW VOLTAGE DIFFERENTIAL LTO ULTRIUM 230 INTERNAL TAPE DRIVE (Q1515A). IN STOCK. SAME DAY SHIPPING. 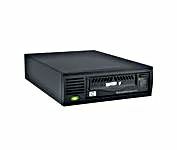 Hewlett Packard - Q1517A HP/COMPAQ - 100/200 GB STORAGEWORKS LTO ULTRIUM 230 100/200GB EXTERNAL TAPE DRIVE (Q1517A). IN STOCK. SAME DAY SHIPPING. IBM - C7377-23011 IBM - 100/200GB ULTRIUM LTO 1 INTERNAL TAPE DRIVE (C7377-23011). IN STOCK. SHIP SAME DAY. 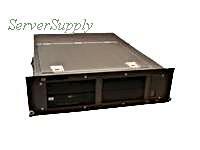 Hewlett Packard - 358964-001 HP/COMPAQ - 100/200GB ULTRIUM 230M LTO 1 HOT SWAP TAPE ARRAY MODULE(358964-001). IN STOCK. SAME DAY SHIPPING. 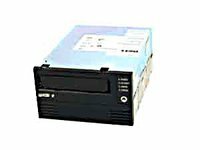 Hewlett Packard - 301567-001 HP/COMPAQ - 100/200GB LTO ULTRIUM 230 LOW VOLTAGE DIFFERENTIAL EXTERNAL TAPE DRIVE (301567-001). IN STOCK. SAME DAY SHIPPING. 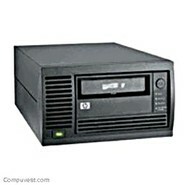 Hewlett Packard - C7421B HP/COMPAQ - 100/200GB ULTRIUM 230 LVD LTO EXTERNAL TAPE DRIVE (C7421B). IN STOCK. SAME DAY SHIPPING. 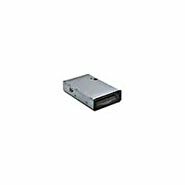 Hewlett Packard - A6307A HP/COMPAQ - ULTRIUM 230 100/200GB LTO INTERNAL TAPE DRIVE (A6307A). IN STOCK. SAME DAY SHIPPING. 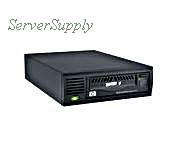 Hewlett Packard - 390703-001 HP/COMPAQ - 100/200GB LTO1 HH 232 16MB/S INT 5.25HH INTERNAL LVD U160 CARBON TAPE DRIVE (390703-001). IN STOCK. SHIP SAME DAY. 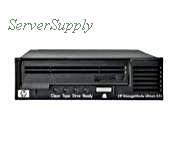 Hewlett Packard - 301930-B21 HP/COMPAQ - 100/200GB ULTRIUM 230 LVD LTO HOT PLUG TAPE DRIVE FOR STORAGEWORKS ESL9322 ESL9595 LIBRARY OPT (301930-B21). IN STOCK. SAME DAY SHIPPING. 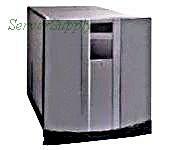 Hewlett Packard - A6323A HP/COMPAQ - ULTRIUM 230 LTO 100/200 GB TAPE DRIVE (A6323A). IN STOCK. SAME DAY SHIPPING. 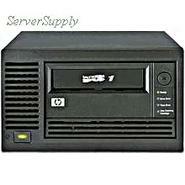 Hewlett Packard - C7421-60015 HP/COMPAQ - 100/200GB SURESTORE ULTRIUM 215 LTO LVD EXT TAPE DRIVE (C7421-60015). IN STOCK. SAME DAY SHIPPING. 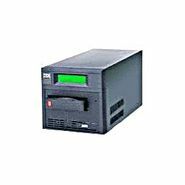 Sun - SG-XTAPLTOFC-DRV SUN - 100/200GB LTO-1 FC L180/L700 MODULE TAPE DRIVE (SG-XTAPLTOFC-DRV). IN STOCK. SHIP SAME DAY. 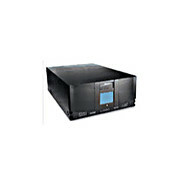 Dell - 7G681 DELL - POWERVAULT 110T 100/200GB LTO EXTERNAL TAPE DRIVE (7G681). IN STOCK. SHIP SAME DAY. 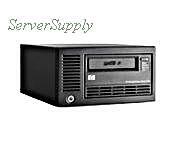 Dell - 6E551 DELL - POWERVAULT 110T 100/200GB LTO EXTERNAL TAPE DRIVE (6E551). IN STOCK. SHIP SAME DAY. 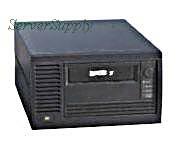 Hewlett Packard - 303459-001 HP/COMPAQ - 100/200GB ULTRIUM 230 LVD LTO TAPE DRIVE HOT PLUG FOR STORAGEWORKS ESL9322 ESL9595 LIBRARY (303459-001). IN STOCK. SAME DAY SHIPPING. 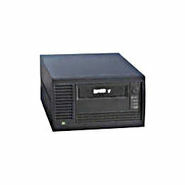 Hewlett Packard - 390704-002 HP/COMPAQ - 100/200GB ULTRIUM LTO-1 232 EXTERNAL TAPE DRIVE(390704-002). IN STOCK. SAME DAY SHIPPING. IBM - 19P2496 IBM - 100/200GB LTO-1 FC 3580 INTERNAL FH TAPE DRIVE (19P2496). IN STOCK. SHIP SAME DAY. 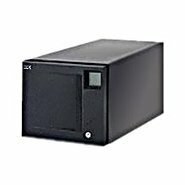 Sun - SG-XL5500-LTOFC SUN - 100/200GB LTO-1 FC LOADER READY FH TAPE DRIVE (SG-XL5500-LTOFC). IN STOCK. SHIP SAME DAY.